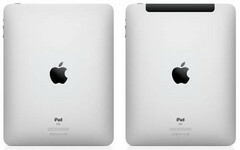 For misleading new iPad buyers over the tablet’s 4G capability, Apple has been charged with AU$2.25m ($2.2m). Although they have agreed to pay the fine but there is a possibility that the judge presiding the case could still increase the amount. According to reports by Sydney Morning Herald, both Apple and the Australian Competition and Consumer Commission (ACCC) asked Justice Bromberg to approve the fine, but the Judge is demanding confidential iPad sales information and details of Apple’s finances before he agrees. This amount is roughly half of the total amount that Apple could face for contravening four counts of Australian Consumer Law. Apple earlier claimed that the companies 4G branding of the third generation iPad would incorrectly lead buyers to assume it would work on the 4G network in the country. However the iPad only supports the 4G LTE in North America only but is not compatible with the single LTE network. Apple has now also agreed to post signs at point of sales clarifying exactly what customers could expect from connectivity. It also offers disappointment buyers the options of full refund though no information have been known on how many devices exactly the company has taken back. ACCC also later insisted Apple to rename the tablet as the “iPad WiFi + Cellular”. The legal team of Apple was also contesting on the same issue saying that nobody had been left dissatisfied as the tablets are also offering a complete refund on the tablets. The company has also agreed to supply the judge with the sales and financial data that he requested. The next hearing was set on Wednesday after Judge Bromberg is supplied with the information he seeks.